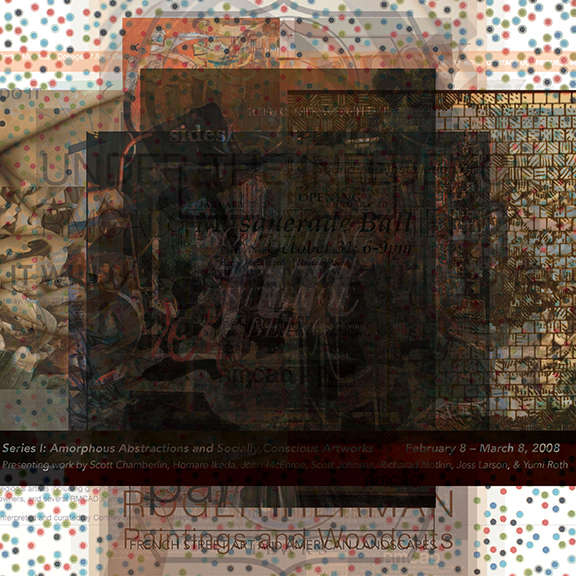 Composite image made in Photoshop by layering all 35 invitations from previous exhibitions held in the Philip J. Steel Gallery. Layers are ordered chronologically with varying levels of transparency so one element from each invite is visible.